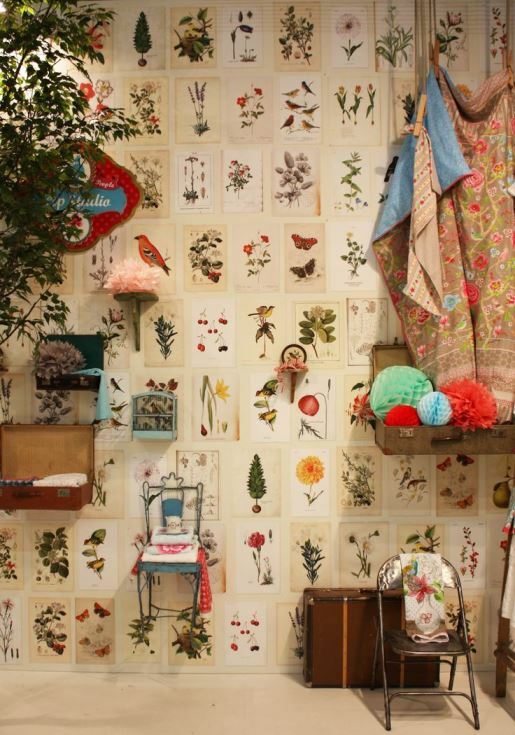 Wallpaper can brighten up any room providing pattern, texture and sometimes a sense of fun. But I always feel that once it is up, you don’t want to change it especially if you have gone to the expense of hiring someone to install it. 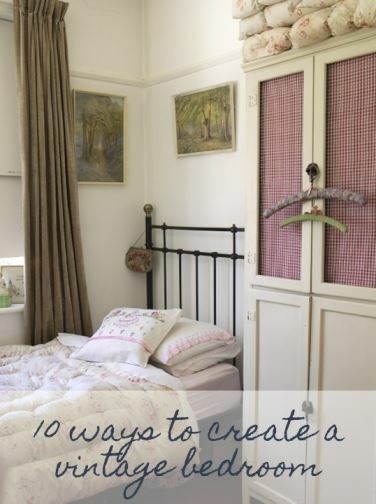 By adding it to other items around your home, you can create the same look without having to change your whole room. Also, you are left with off cuts at the end which often get thrown away. Or maybe you have found some odd rolls of vintage wallpapers at car boot sales and are too nervous to put them onto your walls? 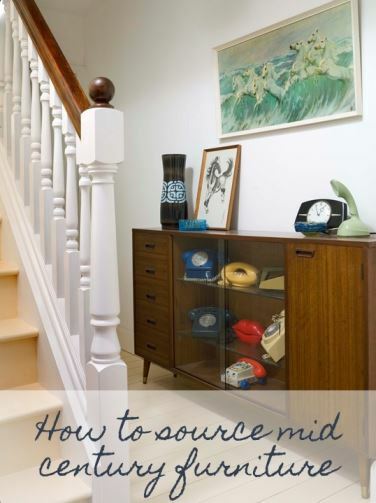 Today I share some easy ideas using wallpaper, modern or vintage. 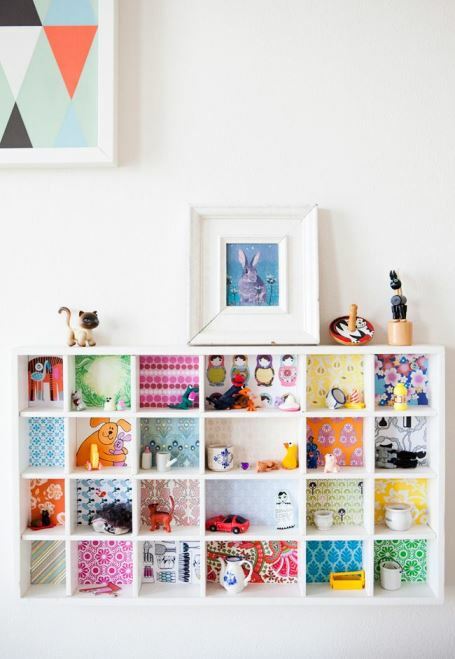 Cover the fronts of a chest of drawers with strips of wallpaper. I wouldn’t do this with a glorious teak chest however, if it is beyond repair then this is the idea for you. 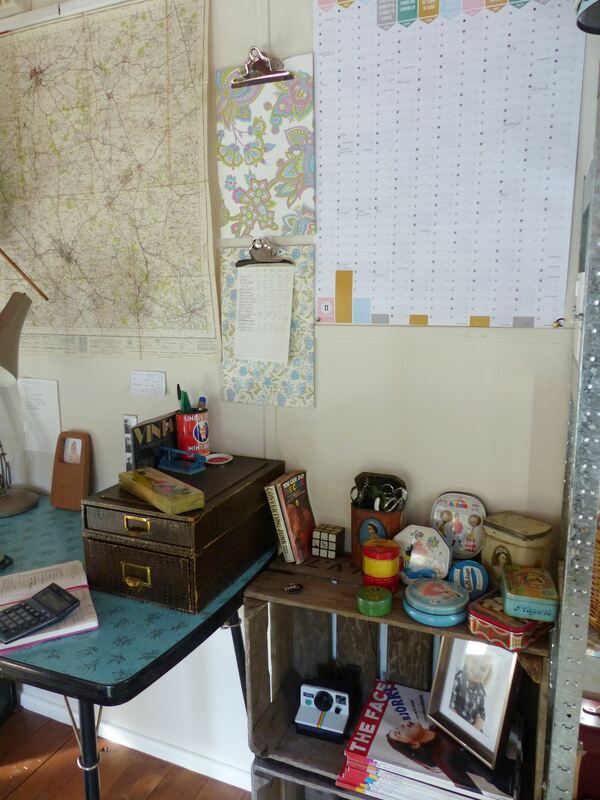 It also works well with modern white drawers to give them a vintage feel. Add cute knobs and away you go. 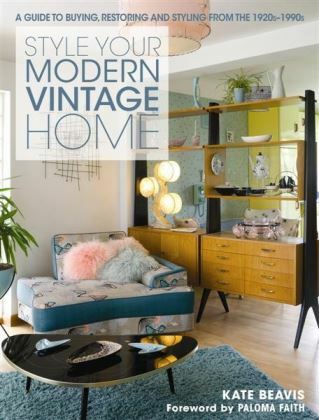 This image was from Homes and Antiques magazine and it features our hair dryer on the floor! 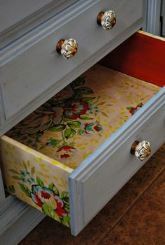 Alternatively line the drawers with the wallpaper and even the sides too. I love the way you get a pop of colour every time you open them. Make oversize headboards from wood and cover with wallpaper. 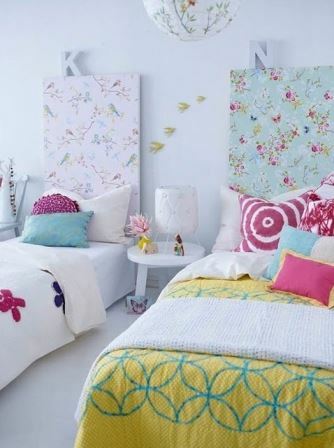 I love the way this twin bedroom uses different patterns which will look wonderful in a children’s room. 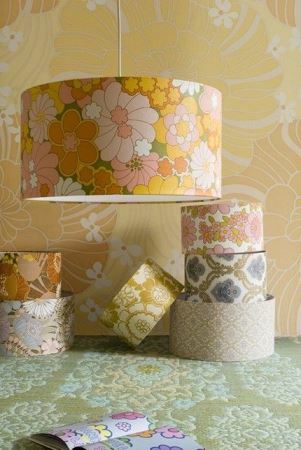 Covering lampshades with wallpaper will add colour and pattern at ceiling height. 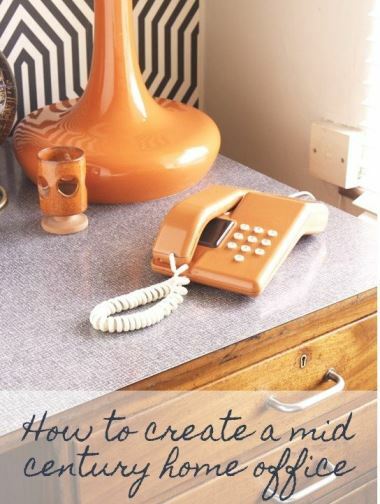 Choose a contrasting colour or pattern from your walls to add a real retro vibe. If you don’t want to cover all your walls with wallpaper, why not just paste the alcoves. I love this look with mismatching plates on the chimney breast which tie in all the colours of the wallpaper. 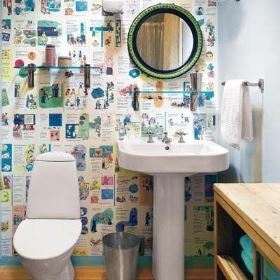 Instead of buying whole rolls, why not cover your walls with separate pages from old books or magazines. If you don’t want to break up a book (and who would? ), colour copy the pages to use instead. 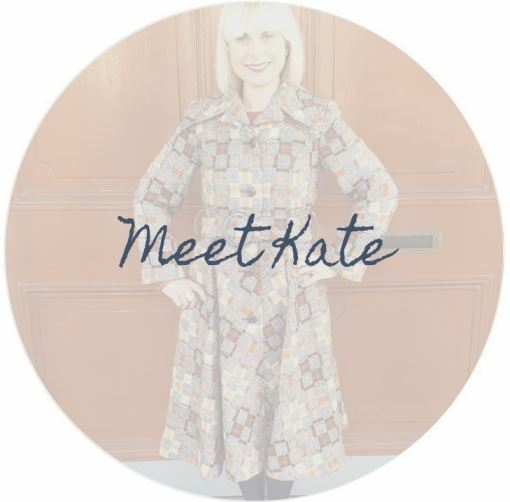 Don’t worry if the colour isn’t perfect as this will just add to the vintage feel. 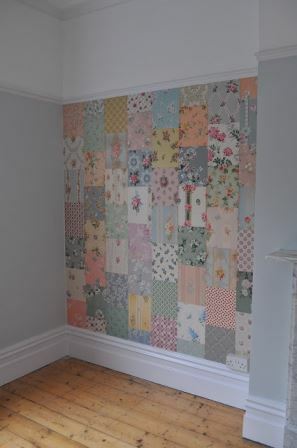 Create a patchwork wall using samples or off cuts. 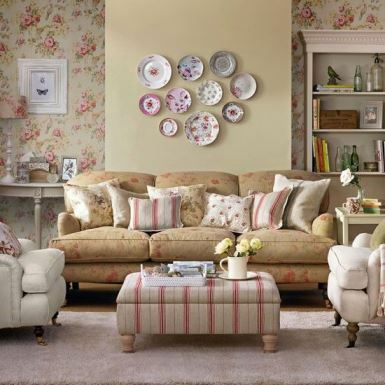 Choose a similar theme and colour palette such as vintage roses or retro swirls so it doesn’t clash too much! 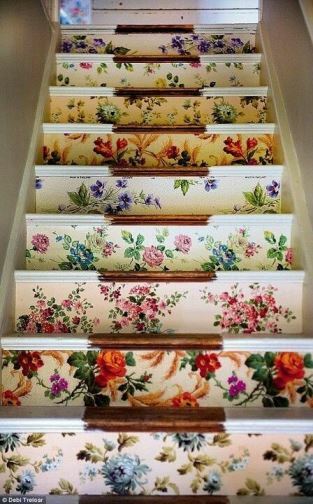 This photo of vintage wallpaper on a staircase inspired me years ago to get crafty with vintage pattern. 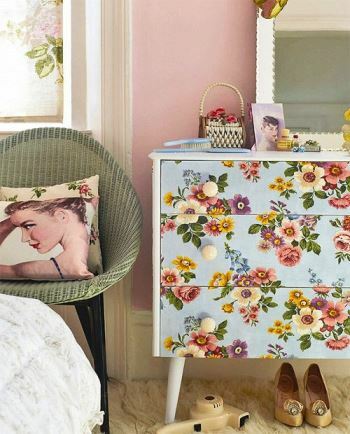 Sarah Moore has inspired so many people with this image and the best thing is that it works with retro styles as well as chintzy ones. 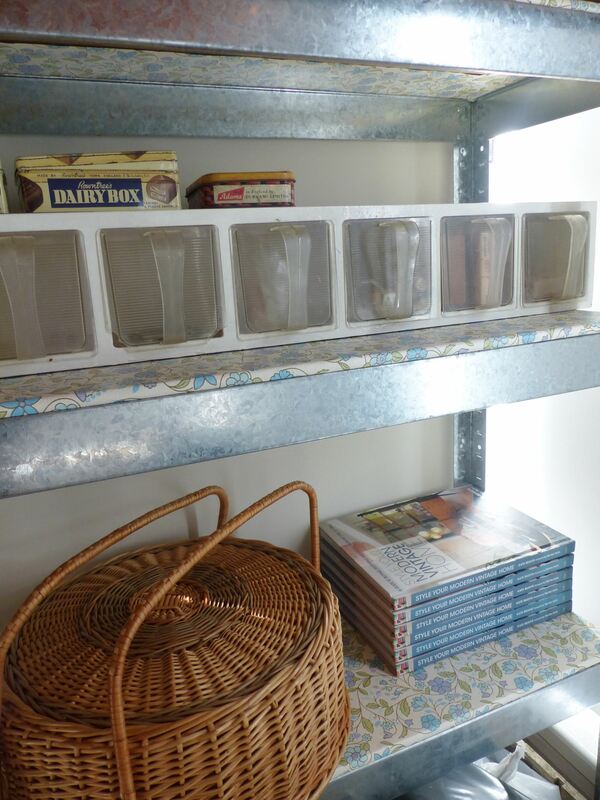 Instead of lining drawers how about lining the back of a shelving unit? This could be made yourself or choose a modern one from Ikea. 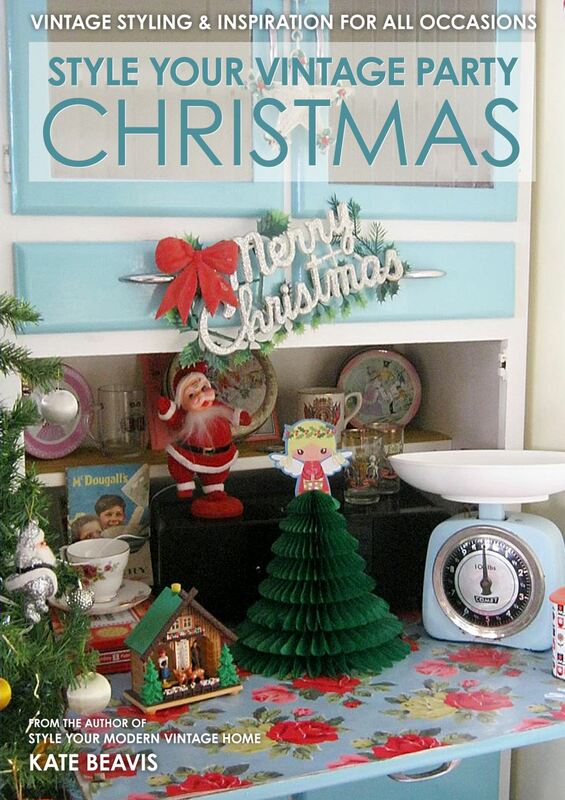 I love the use of different colours here, and this would look great in a kids room. 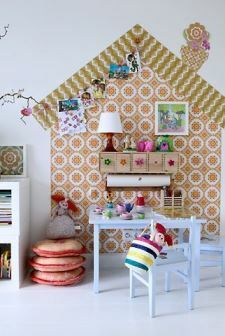 Another great idea for your children’s room is to create an image out of the wallpaper on a plain white wall. This house idea is simple due to its straight lines and would make a little one so excited especially hanging behind their bed creating a false headboard. 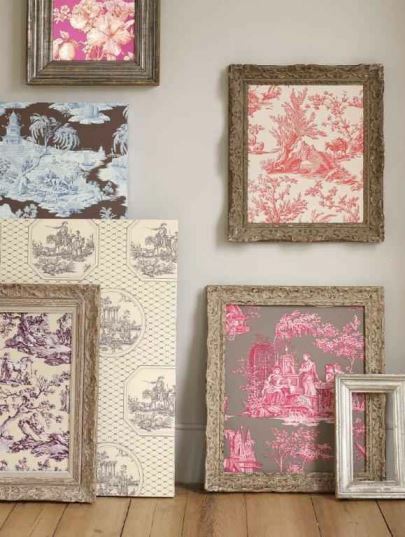 Simply framing small pieces will add some wow factor to your walls. I have an original 1950s Sanderson off cut framed in my bedroom next to the modern design which is on the main wall which I found while on a house clearance! 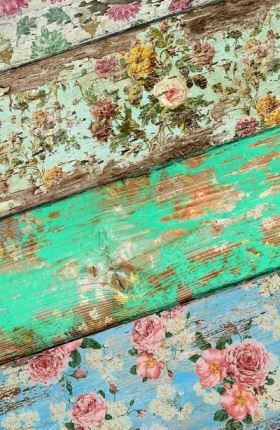 I so love the idea of adding wallpaper to your floorboards! Glue different patterns along each board, then sand furiously to create a distressed feel. These look like they have always been here don’t they? Don’t forget your home office! I have covered modern clipboards with off cuts and hung them on my wall which match the racking shelves which I have also covered. 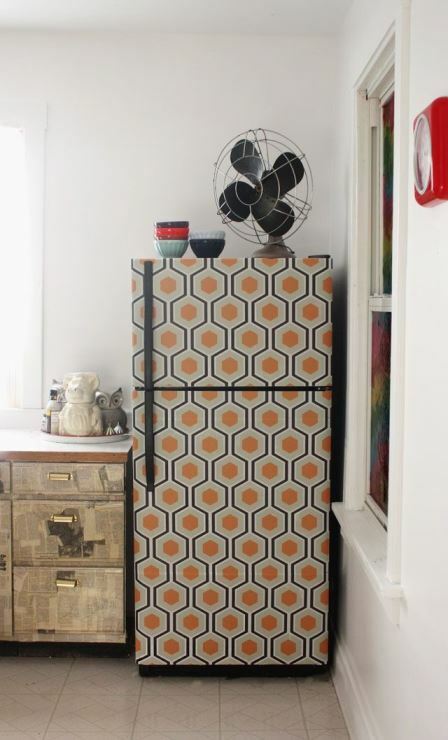 And finally, how about covering your whole fridge!!! Bit of a mad idea but doesn’t it look great? Just varnish over the top of it, to stop dirty finger marks.